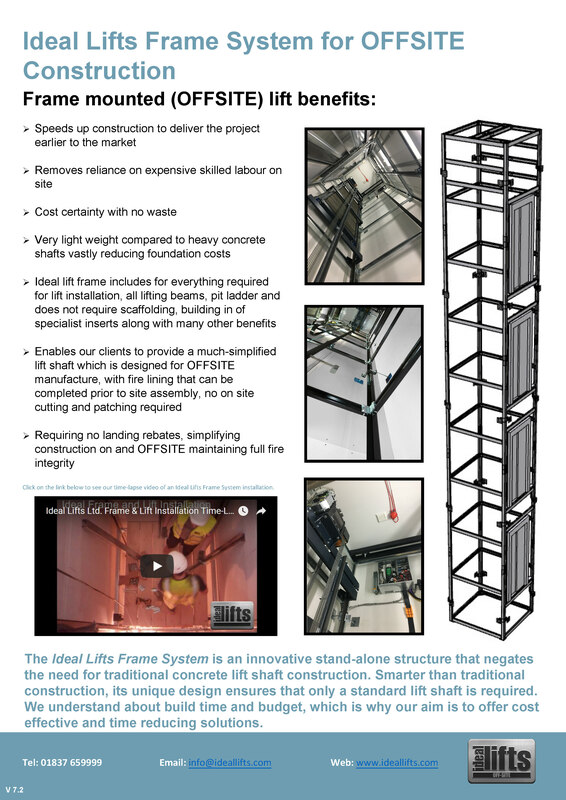 The Ideal Lifts Frame System, which only requires standard walls, is ideally suited for Modular lift installations. 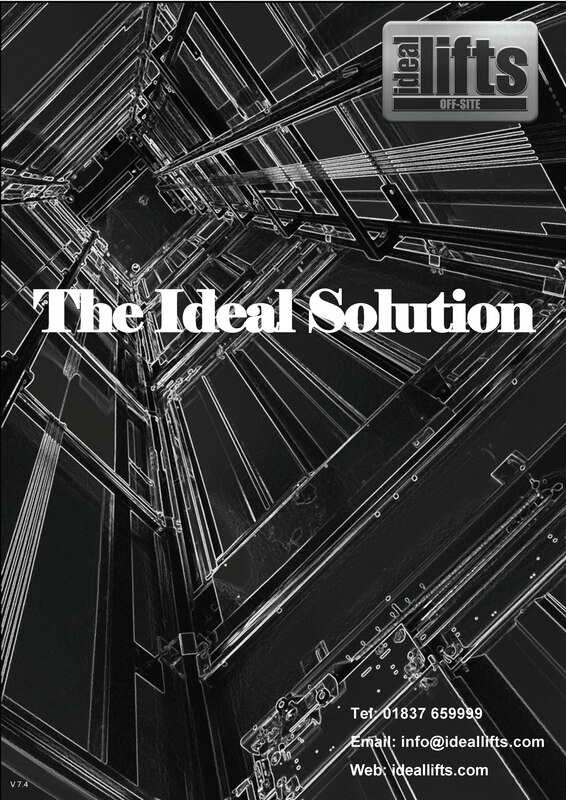 Less than 10% of the weight of traditional load bearing concrete shafts, our frame system is significantly advantageous on sites where deeper and more intrusive foundations make the site unviable for traditional designs. 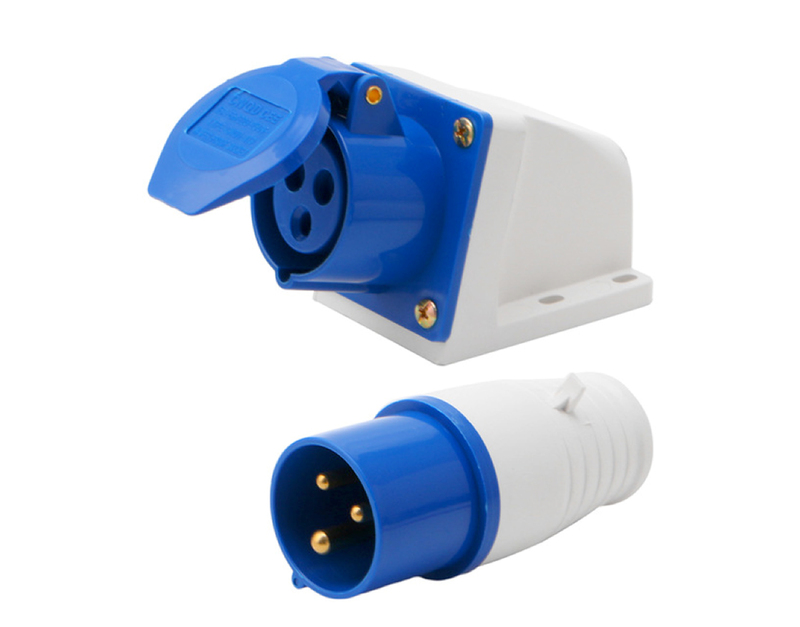 For example, those with infrastructure tunnels below, next to main railway routes or heavily contaminated sites. 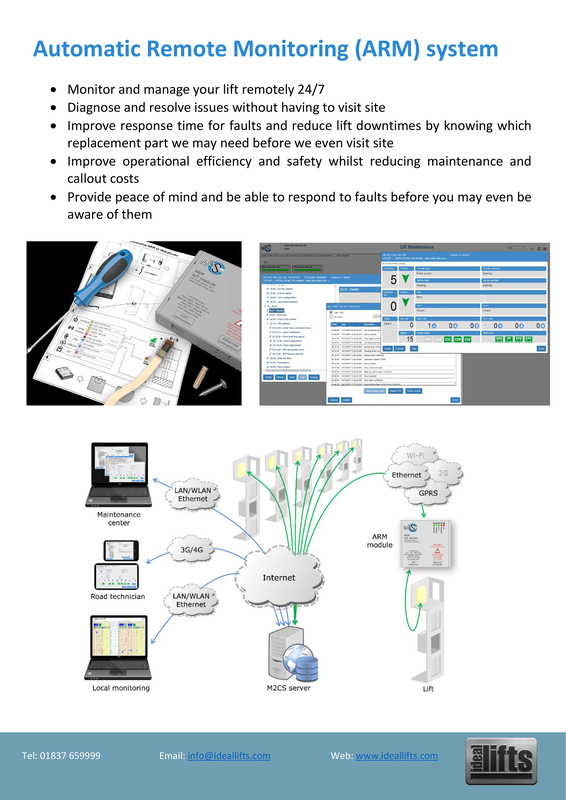 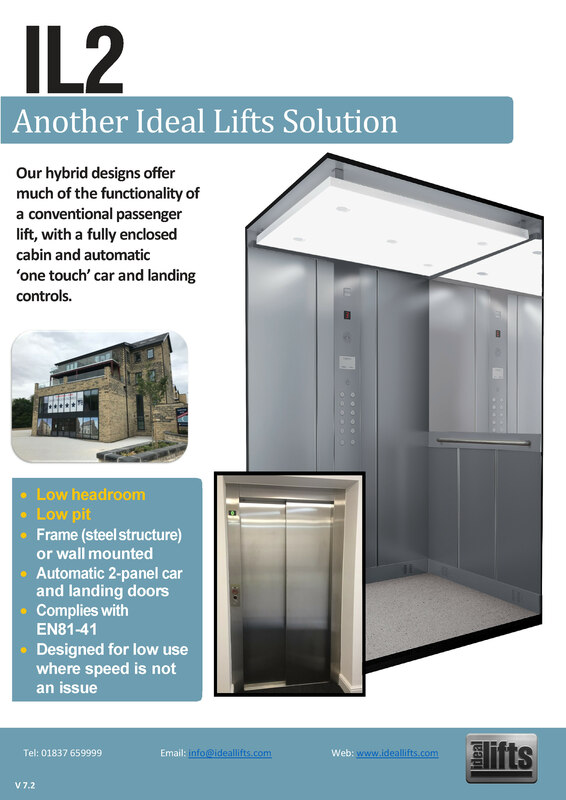 By engaging with Ideal Lifts early in the design process you will benefit from our expert technical design experience to ensure you get the best fit passenger lifts to meet your needs. 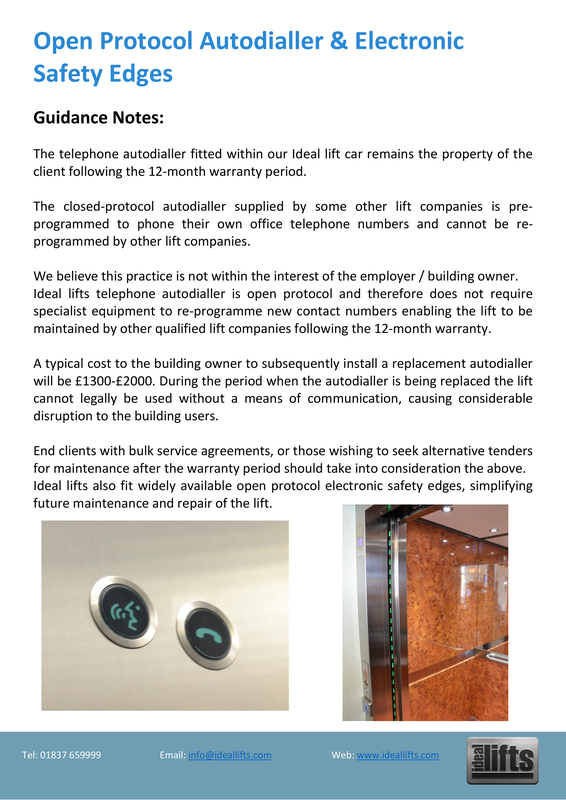 We offer additional options for your choice of design finishes or technical capabilities available to suit your specific passenger lift requirements. 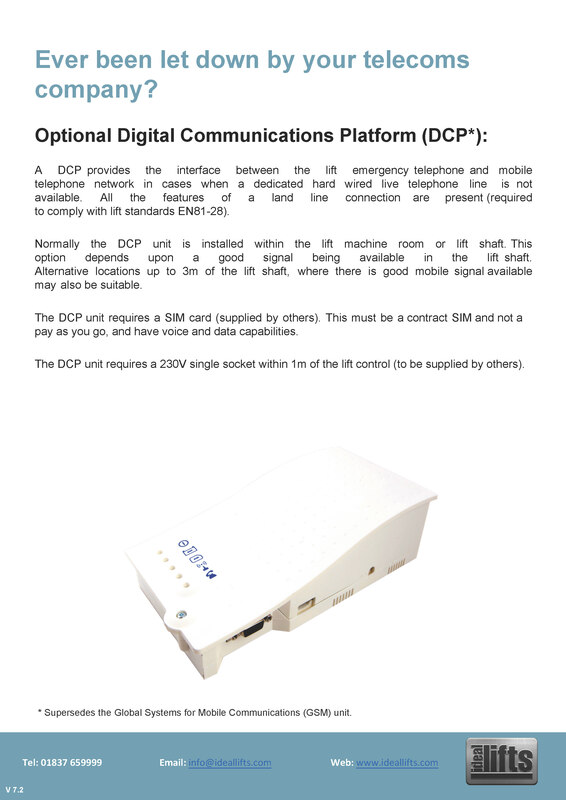 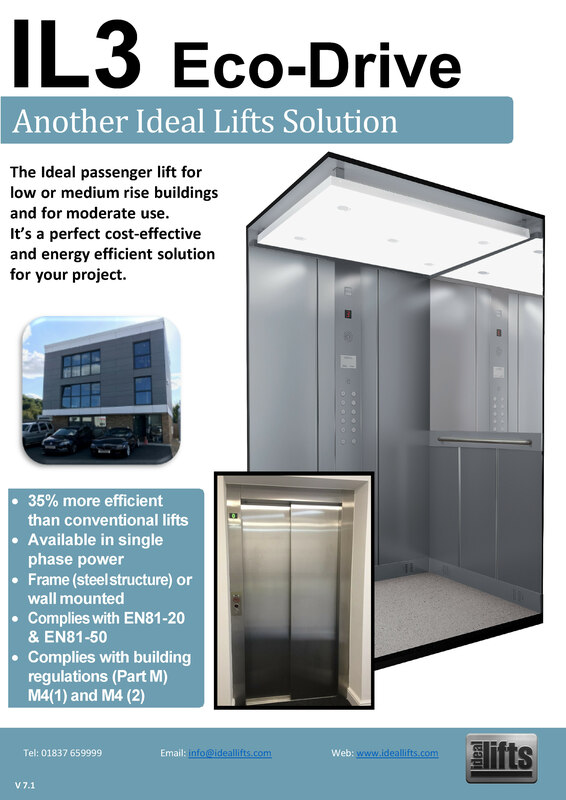 Our Eco-Drive range of lifts are designed for low-rise buildings below 6 floors, offering cost effective passenger lift solutions with the additional option of single phase 240V electrical supply. 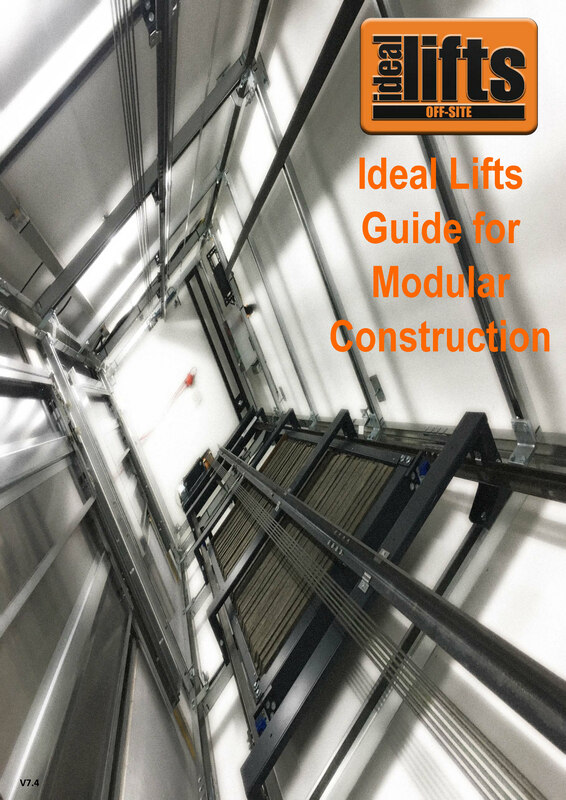 Our most popular models are detailed below, please contact us to discuss additional lift models and sizes not listed below. 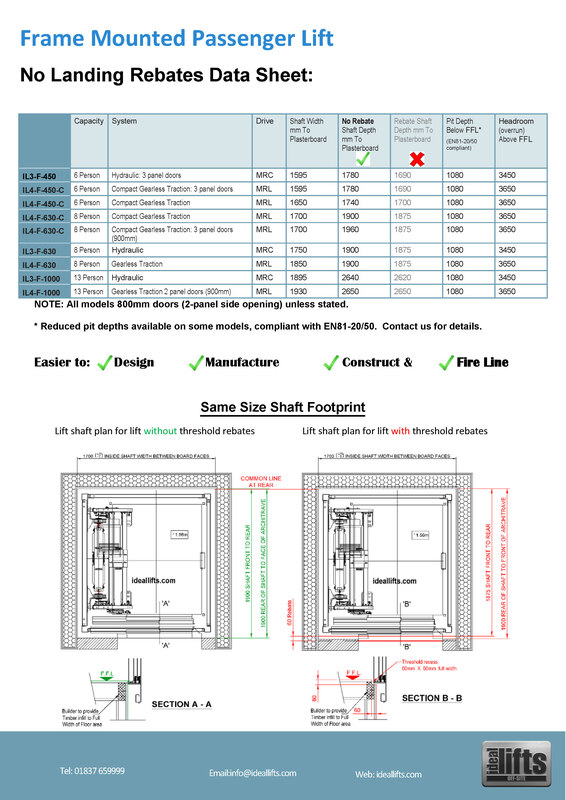 PLEASE NOTE: All shaft dimensions are minimum dimensions in mm (- 0 / + 25). 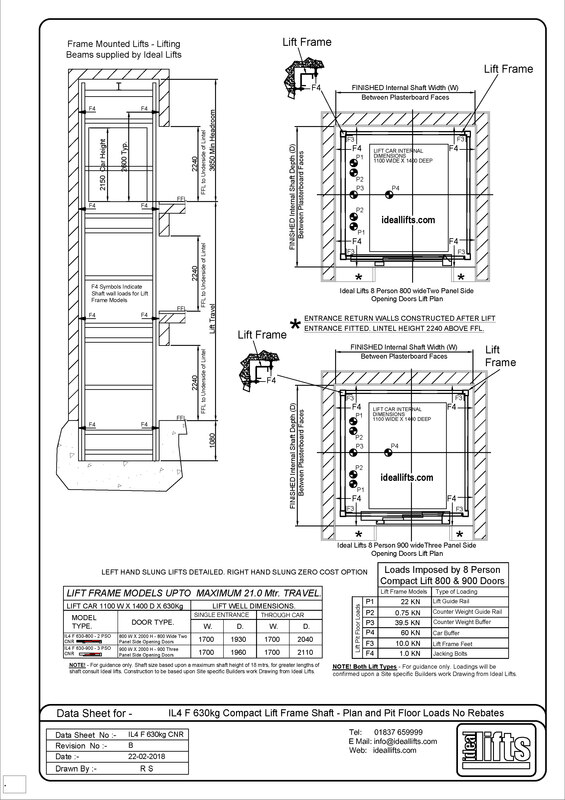 For guidance only, construction to be based on site specific drawings. 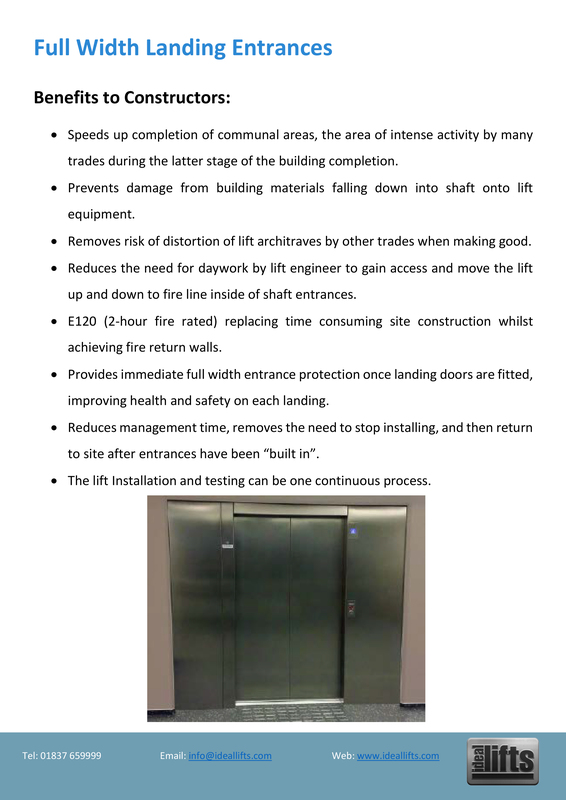 In response to feedback from our clients and partners we have eliminated complicated landing door rebates therefore simplifying the design, manufacture, construction and fire lining of your passenger lift shafts.